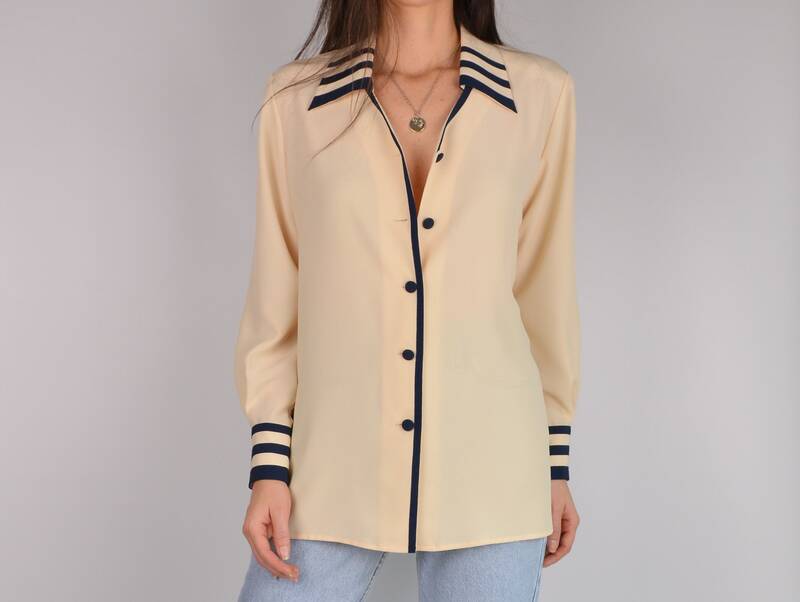 Gorgeous vintage cream color button-up blouse with navy trim and buttons. 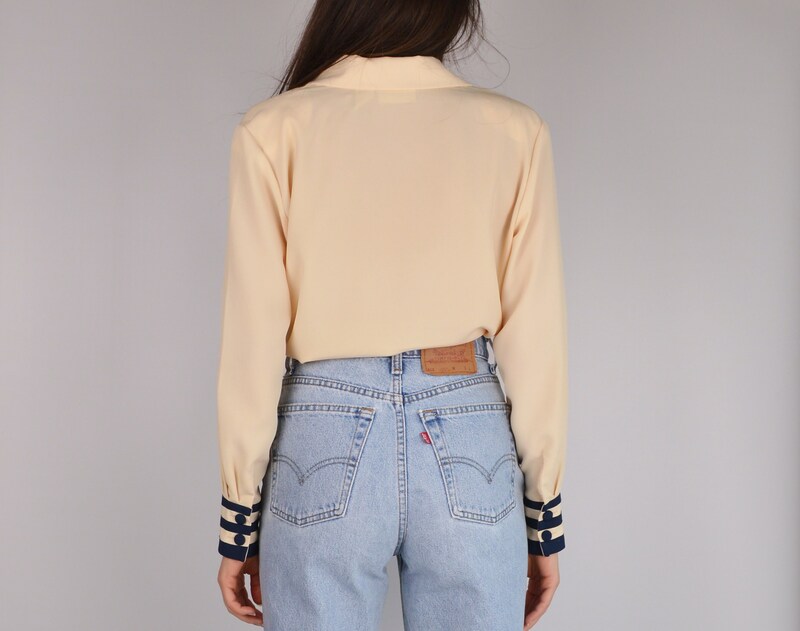 Has thin shoulder pads that can be easily removed if desired. So elegant and stylish!